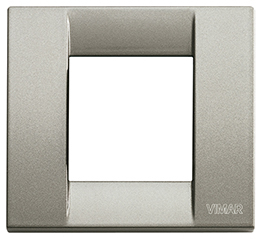 Vimar Square Face Plate with 1 Full (2 Reduced) Module capacity titanium cover plate. This item is special order only. Please allow approximately 3 weeks for delivery.